The D-day has finally here! Television's adorable couple, Prince Narula and Yuvika Chaudhary are getting married today (October 12, 2018) at a lavish ceremony, in Sun n Sand Hotel, in Mumbai. Prince looked dashing in white sherwani which he teamed up with a maroon pagdi, while Yuvika looked stunning in a maroon lehenga choli. Prince made a grand entry on a god, while Yuvika walked down the aisle with her phoolon ki chaadar. Yuvika was accompanied by her parents. The wedding had 'naach' and 'gaana'! The bride and groom were seen dancing their heart out at the wedding to the beats of Bollywood and Punjabi songs. The jaimala function was fun to watch! Just like their pre-wedding ceremonies, this too was a starry affair. 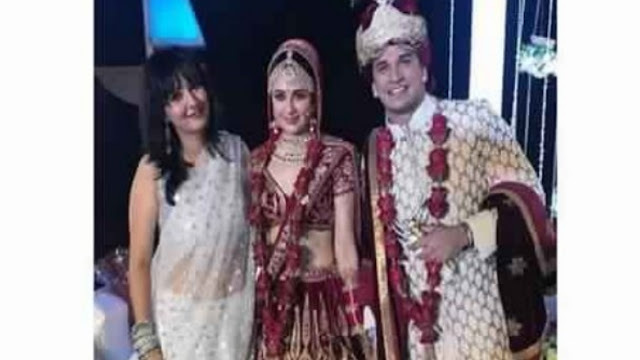 The wedding was attended by not only television actors, but also by Bollywood celebrities. Prince's Naagin co-stars, Pearl V Puri, Heli Daruwala and Rakshanda Khan, and others attended the wedding. Bollywood actor, Sunil Shetty graced the ceremony. The actor congratulated the couple and then was seen posing with Prince, Yuvika and their family. Bollywood actor Sohail Khan graced the function. 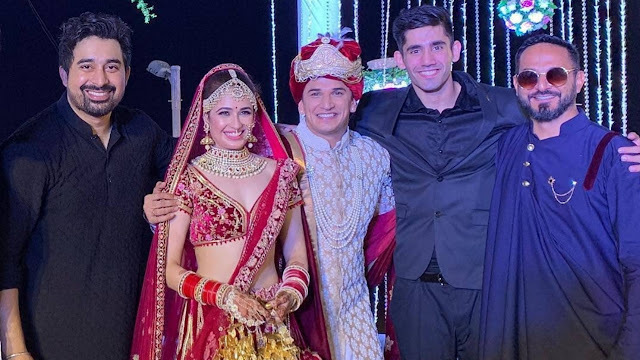 He congratulated the couple and even said Prince that he knows that he was in Bigg Boss (the show hosted by Sohail's brother, Salman Khan). Also Bollywood actress, Bhagyashree was spotted at the wedding. Cricketer Irfan Khan along with his family attended Prince and Yuvika's wedding. 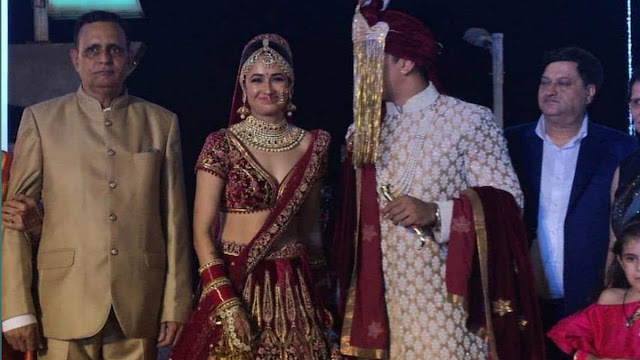 Sakshi Gulati, who was seen in Prince and Yuvika's pre-wedding ceremonies, also graced the wedding. She shared a few pictures and videos from the wedding on her social media. 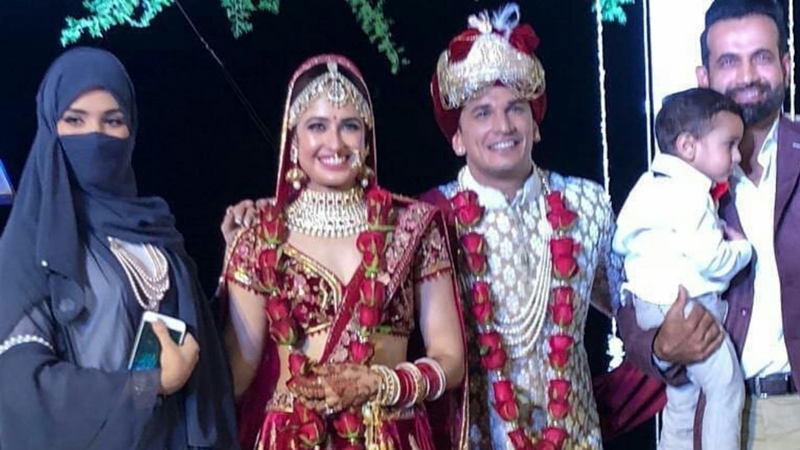 Sharing this picture, Sakshi wrote, "Now n forever....♥️♥️ @yuvikachaudhary @princenarula #wedding #happy #love." 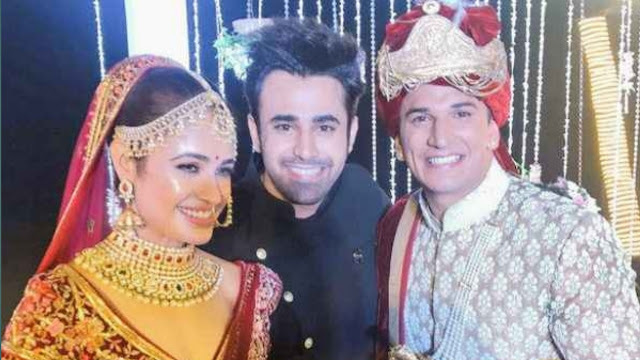 Prince's Naagin co-actor, Pearl V Puri shared a picture snapped with the bride and groom and wrote, "All the best wishes, blessings, love to the couple may god bless u with happy married life forever 🤗🤗🎁💐 love you both #privika #veerdiwedding." 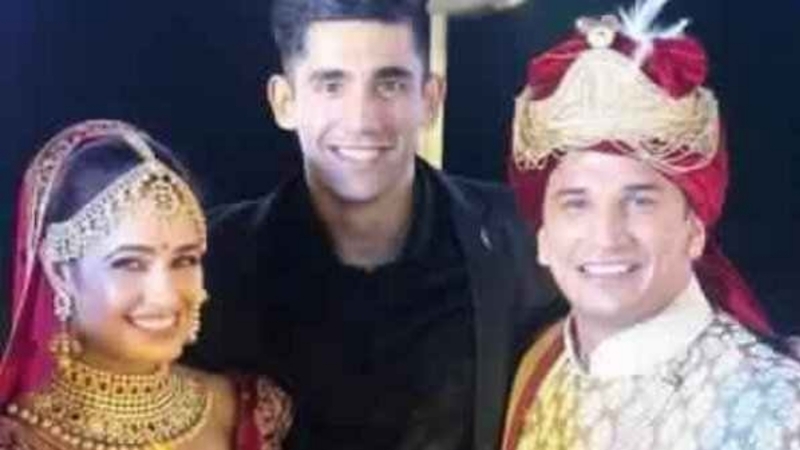 Varun Sood shared a picture with Yuvika and Prince and wrote, "Bhaiya bhabhi ki shaadi! #privika #shaadi." Varun also shared a few pictures and videos from the wedding. 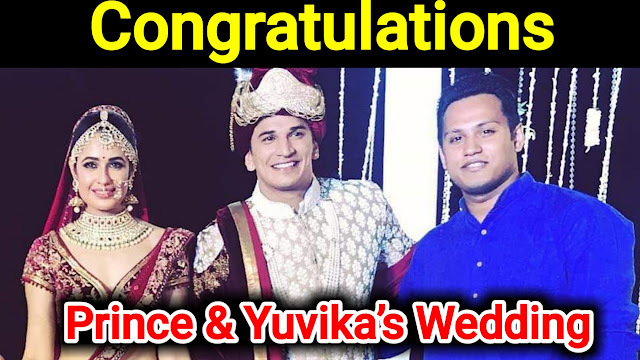 Nikhil Chinapa shared a group picture and wrote, "Incredibly happy for our friends @yuvikachaudhary and @princenarula who got married today! Wish you guys all the love, good health and happiness in the world!! @rannvijaysingha @varunsood12."